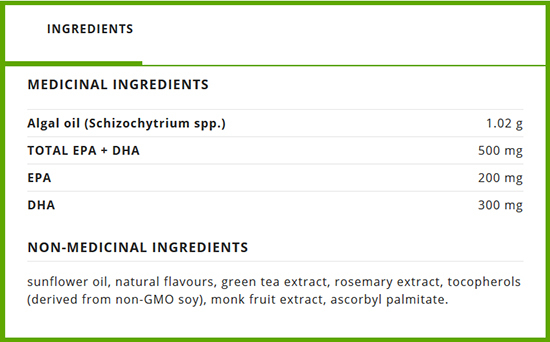 Potent plant-sourced formula with 500mg of EPA + DHA per teaspoon. 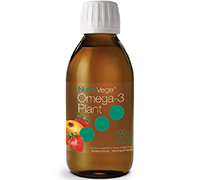 NutraVege vegetarian omega-3 delivers great tasting, ultra-pure essential fatty acids. Derived from sustainably-sourced algae, NutraVege provides a complete source of EPA+DHA for the maintenance of good health, cognitive function, and much more. NutraVege is ideal for vegetarians or those who simply prefer a plant-based omega-3s. Directions: Shake well before each use. Adults 18 years and older take 1 tsp. daily. Store in original container, in a cool place protected from light. Refrigerate after opening and consume within 100 days.